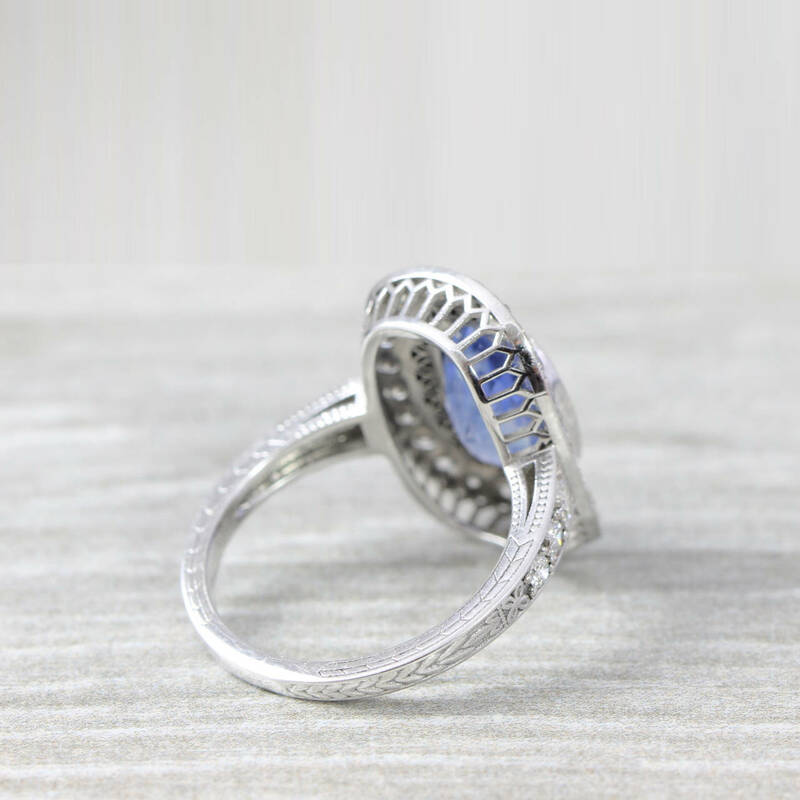 This is truly a stunning one of a kind piece. 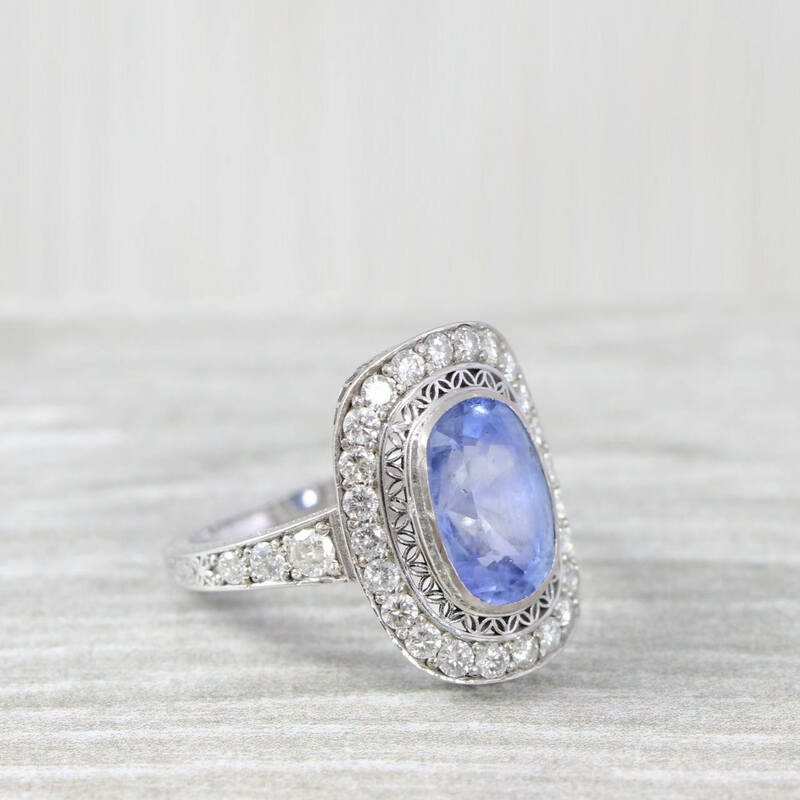 The central sapphire is a genuine antique from the 1920’s. 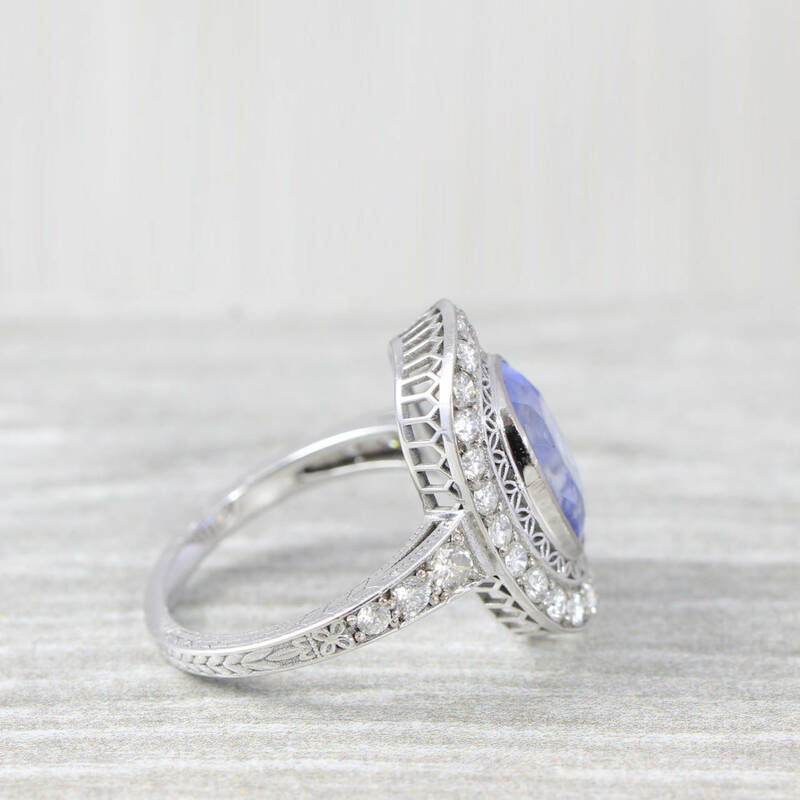 It is completely untreated in anyway, and is cut in a gorgeous traditional oval cushion shape. 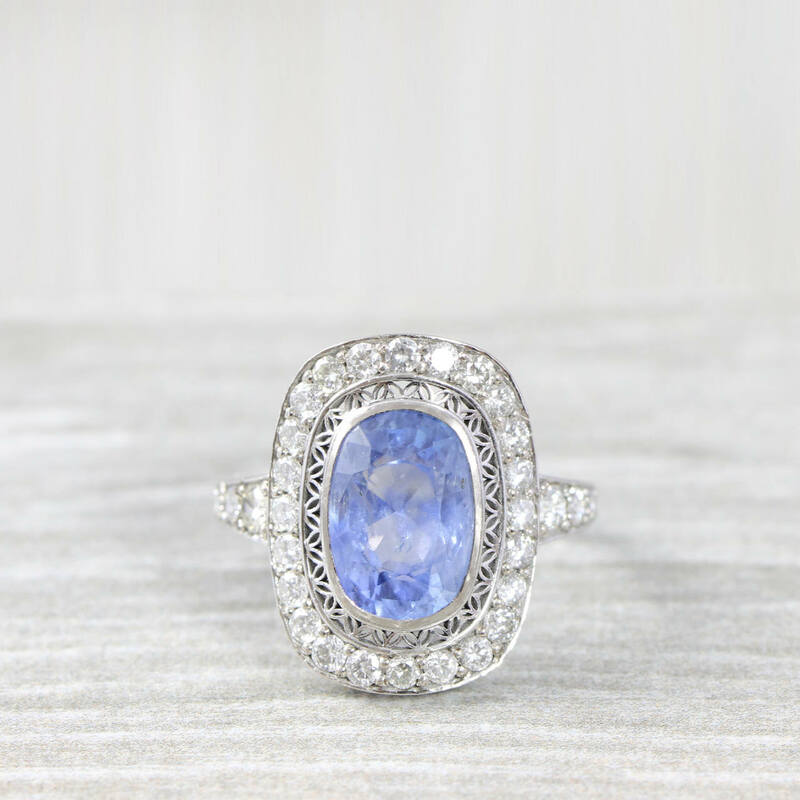 The cushion sapphire is then surrounded by a series of stunning white diamonds, all set in a totally bespoke ornate mount that was built around the center stone!